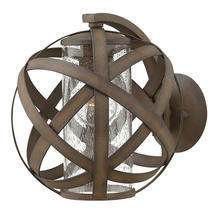 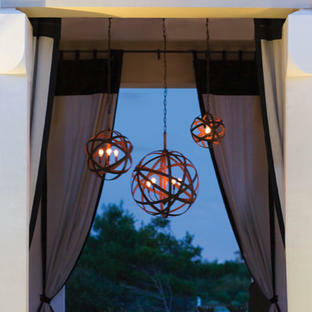 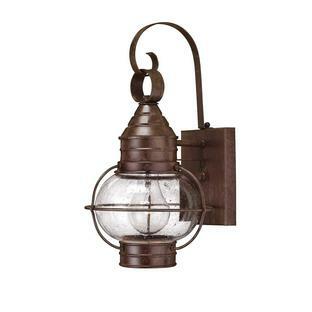 Stunningly dramatic with this statement outdoor wall lantern. This hand-crafted exterior wall lantern features bold overlapping metal ribbons in a vintage iron finish, perfect to give drama and bold elegance to outdoor areas. Paired with a seeded glass votive, this stunning design will illuminate any outdoor space. 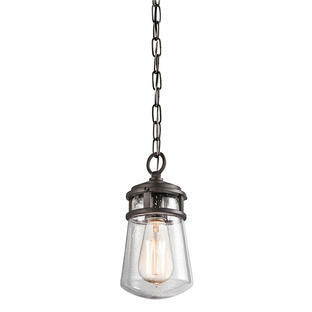 To complement the look there are hanging chandeliers available in the collection.